for the dress I think Lauren did better, I like Lauren more as a blonde, I think it fits better to her California style, but she looks good in both. For Khloe I cant decide if I like the redish color. Thanks for you comment! i love long wavy hair! i didnt recognise her as a brunette! I love their hairstyles better before they changed it! i agree with your commentary! so glad i found your blog! im a new follower! I think I like the change on both of them - their old hair shades were great but so are the new ones and I gotta give them credit for being bold enough to try something new. i like lauren as a blonde california girl! can't make up my mind about kloe though. I love lauren`s hair in brown. they both look much much better their original colors! and the dress definitely looks better on lauren, mainly because of her shoes. Your blog is adorable by the way, maybe we can follow each other? Khloe is a disgusting transvestite. She never looks good. Lauren Conrad looks okay at times and not so okay at others. I think she looks fine with both colors of hair. Aw, Lauren will always be good blonde to me, but the dark does look really good! I love lauren conrad and she looks great as both like you said!! I'm not feeling Khloe's brighter hair though. Of course that Lauren wore it better! I like Lauren's new hair, but I like Kloe's hair before. I like Lauren Conrad in brown. haha! i love lauren blonde, and she wore it best. lauren looks fab, but i don't think the others should have changed! 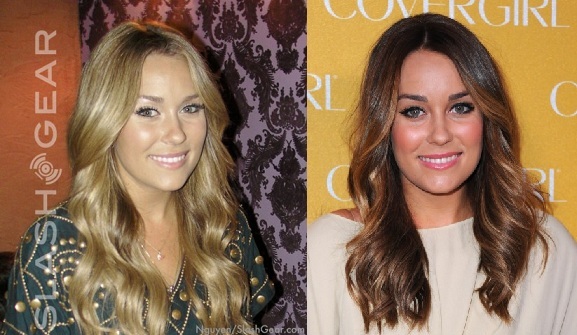 I love Lauren Conrad's hair and style! I love Lauren in both shades, and I think she was rocking that dress! So pretty. I think Lauren looks great with both hair colors, but Chloe looks better with the lighter color! I definitely like Lauren lighter and Khole darker. 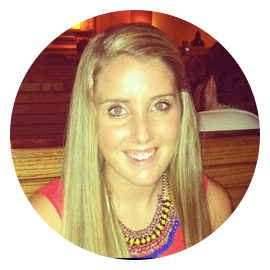 Thanks for stopping by my blog, come visit me soon!! I'm thinking Lauren with her old hair - the blonde blends well with her complexity. Khloe looks better with her new hair, gives her some UMMMPH! i love lauren with the darker hair! she looks great! i love khloe with dakr brown hair! it brings out her eyes!